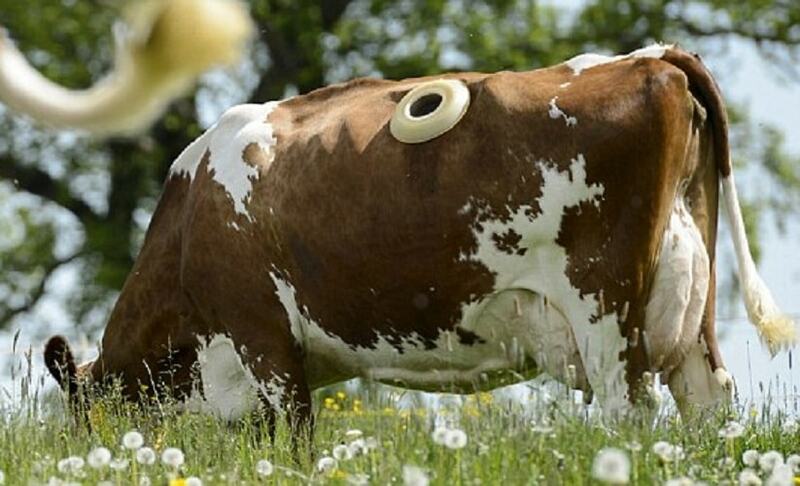 In a rather bizarre agricultural technique, farmers in Switzerland are drilling holes in the bellies of cows so they can monitor what the cows are eating. The holes (known as cannulas) are cut directly into the cow’s digestive tract and are usually about 8-inch (20cm) deep. The holes allow farmers to see how food is being processed, and to analyse the animal's energy efficiency. 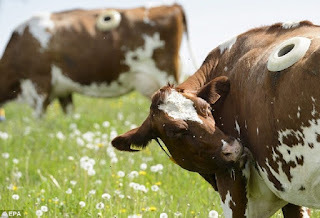 According to researchers, monitoring the energy efficiency of cows can help improve farming methods and the environment, however animal rights campaigners have criticized the procedure, calling it cruel. The cannula acts like a porthole and gives direct access to the cow’s rumen. Once the cannula is surgically placed in the cow, the animals are allowed to graze for a set period of time before being examined. Farmers then remove the plug and pull the food content from the rumen. This material is collected and tested and this analysis shows farmers and researches which forages get the best results from the livestock, based on how much is digested. 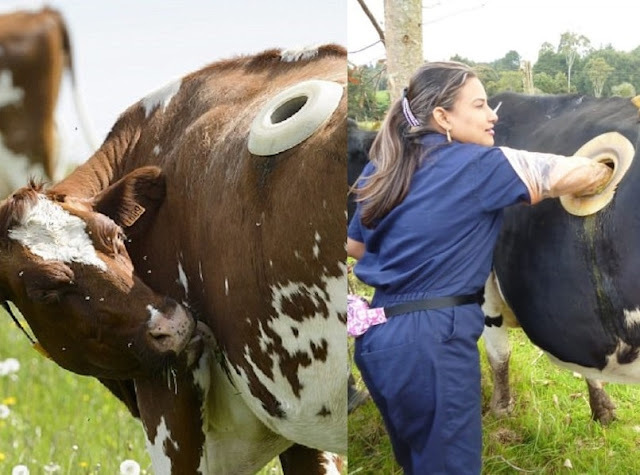 Cows with cannulas fitted are known as fistulated cows and the practice does not just happen in Switzerland but is also performed in the U.S and across Europe. The cows are anesthetized during the surgical procedure and are said to experience no pain when being examined. But animal rights campaigners claim it is abuse.